Today’s episode is doubly exciting. First, Tim Bohen and Stephen Johnson are welcoming guest Mark Croock, a trader who is “the epitome of steady” and has a lot of valuable wisdom to impart. Second, Mark has a major milestone to share: he just surpassed the million dollar profit mark! In this episode, you’ll hear Part 1 of a two-part interview which will continue next week. 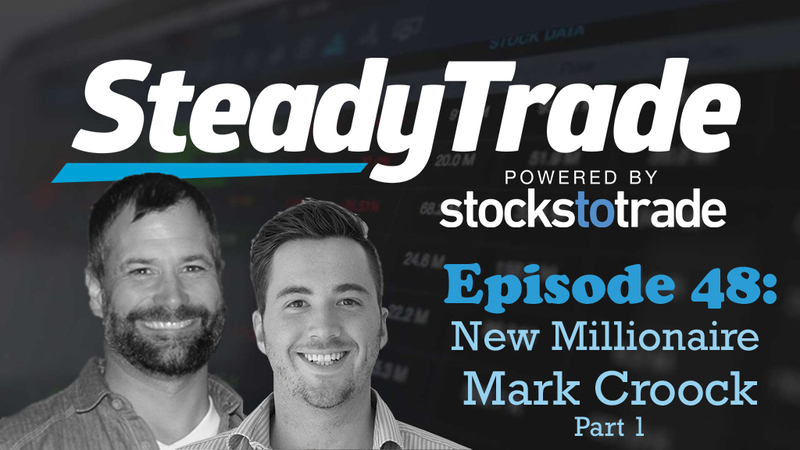 In this week’s installment, you’ll learn about Mark’s trading history, what he has learned over the years, and how some of his biggest losses have been his biggest teachers. Mark Croock has always had an interest in finance and the stock market. He pursued a degree in accounting from UT Austin because it seemed like a safe bet career-wise. However, when it came time to get a job, public accounting didn’t seem like it would let him live the life he wanted. He began dabbling in penny stocks but didn’t have much success until he discovered the teachings of Tim Sykes. He became a devoted student and famously watched every single video in the Sykes library–twice. As he figured, it’s important to immerse oneself to master the dynamics of the market. That’s how he started to “get it”. Mark began trading in earnest in about 2010, with a starting account of $50k. He was fortunate in that he didn’t have a lot of pressure when he got started. He was single, and he had a decent amount of money in his account. He didn’t feel the rush to make a ton of money, which put him in a good place mentally and emotionally as a trader. “Everyone has a first pattern to make money,” says Stephen. What was Mark’s? As you’ll learn in the episode, his initial successes were found exposing pump and dumps, shorting first red days, with 2-3 day parabolic runs being his focus. Short selling was what drew him in; he loved the strategy. As Tim reminisces, 2010 was an exciting time to get into trading, calling 2007 to 2011 or so the “golden age of shorting junk”. Borrowing was harder back then but shorting was overall easier. It’s not the same anymore: in the episode, the hosts swap stories about the way things were and how they have changed in modern times. While the market conditions change, some things don’t. For instance, Tim, Stephen, and Mark all agree that in trading, timing is everything. In the episode, they discuss how newbies tend to get overly aggressive and impulsive, whereas more established traders can show more restraint and are generally more tactical in their approach. This comes with experience. “Holding and hoping is a big problem for new traders,” remarks Mark. 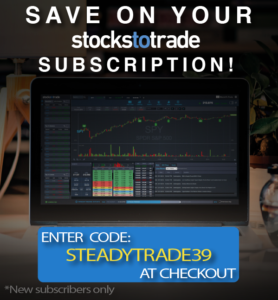 In the episode, he reveals how he began to consistently profit from his trades and shares his advice on how new traders can improve their results as well. It hasn’t all been successful ascent for Mark. He has had his share of losses over the years. In the episode, he details the humbling experience of some of his biggest losses, some of which topped $20,000. Do you have a question about Mark, or about trading in general? Visit the “submit your audio” portion of the website to ask us anything. You may be featured in an upcoming episode. Thanks, Guys! Helpful as always! Always love your new episodes!